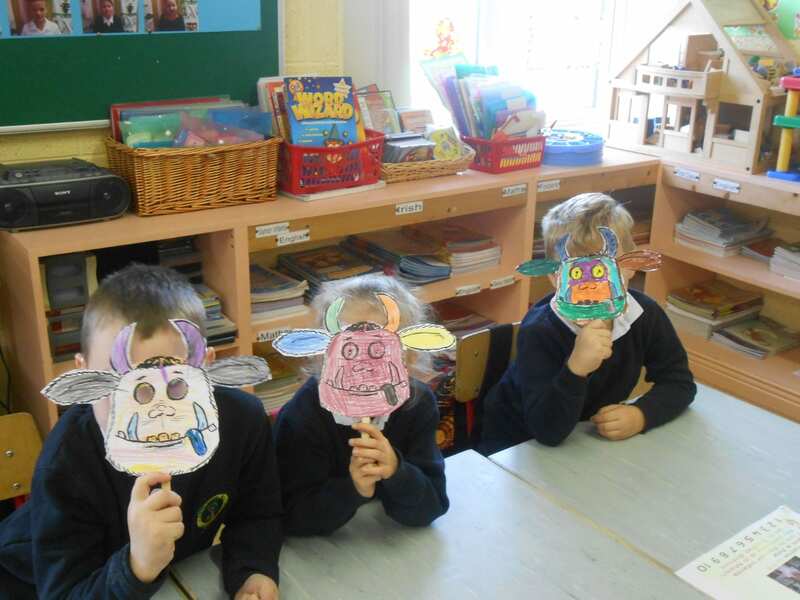 We were delighted to celebrateWorld Book Day today. 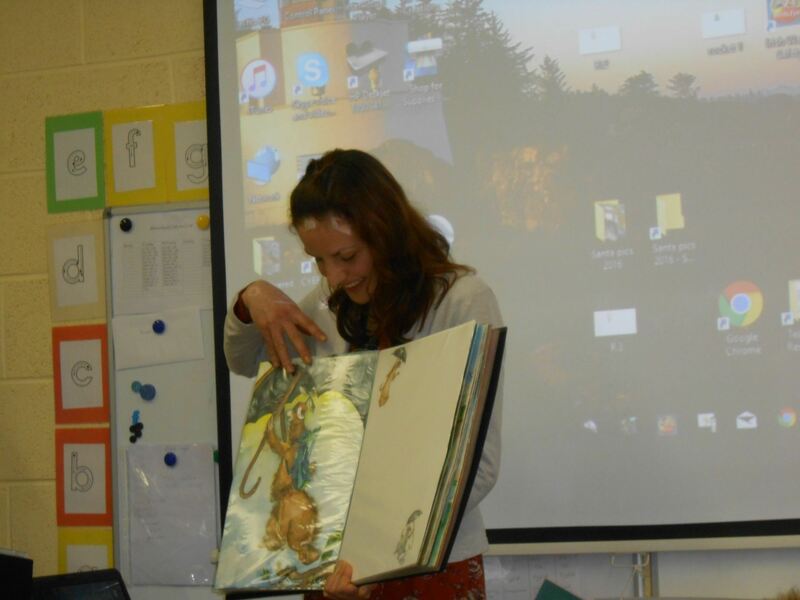 Children in senior classes presented their favourite book to the class. 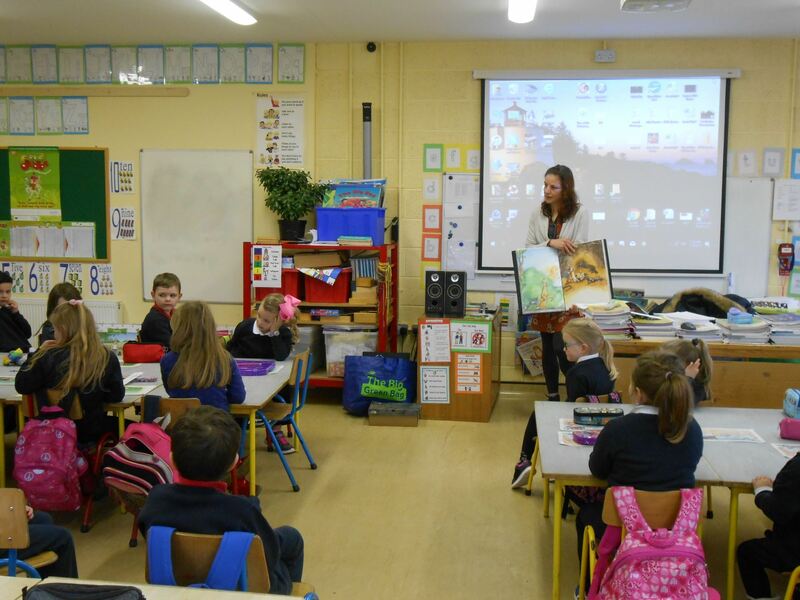 Over the last 20 years World Book Day has become firmly established as Ireland’s biggest annual event promoting the enjoyment of books and reading. 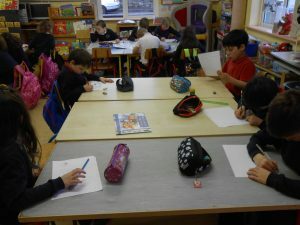 The main aim is to encourage children to explore the pleasure of books and reading by providing them with an opportunity to have a book of their own. 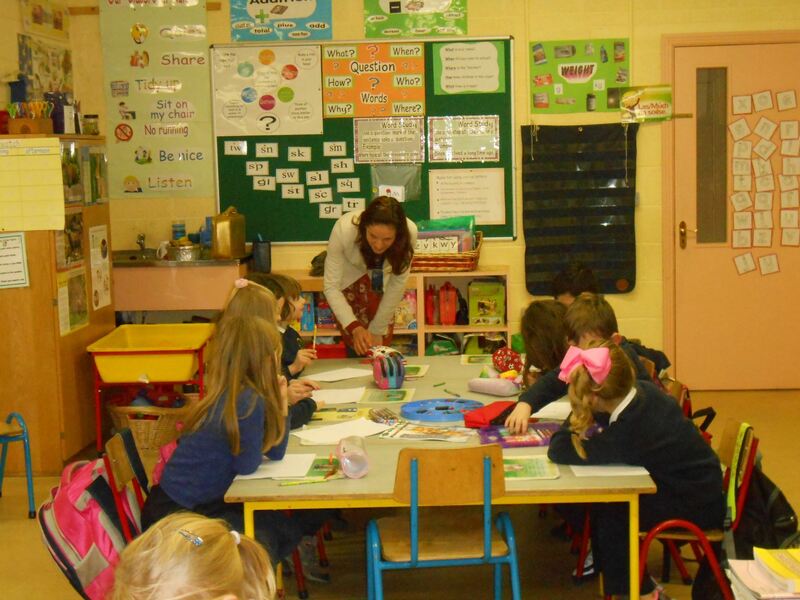 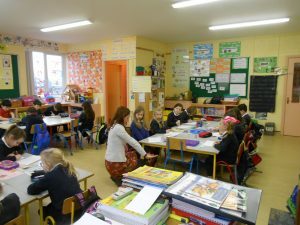 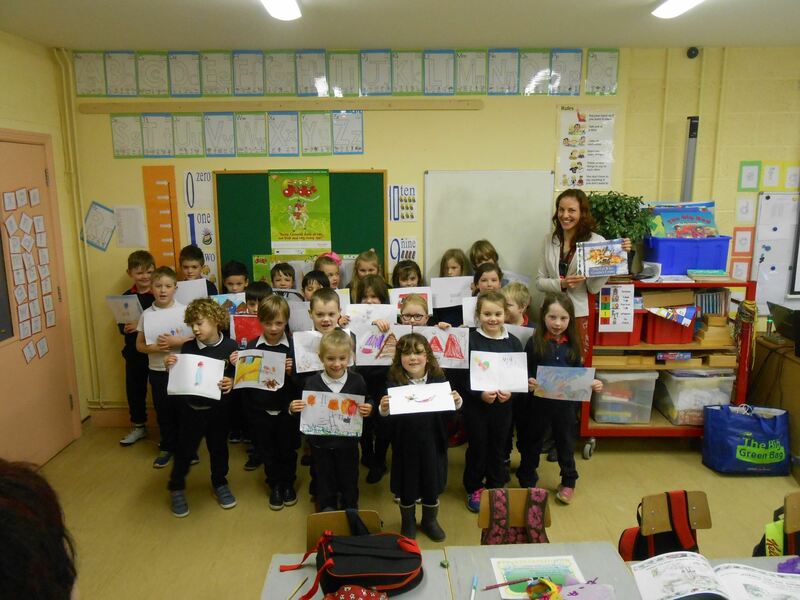 Each child has been given a voucher to the value of €1.50 to encourage the purchase of a book. 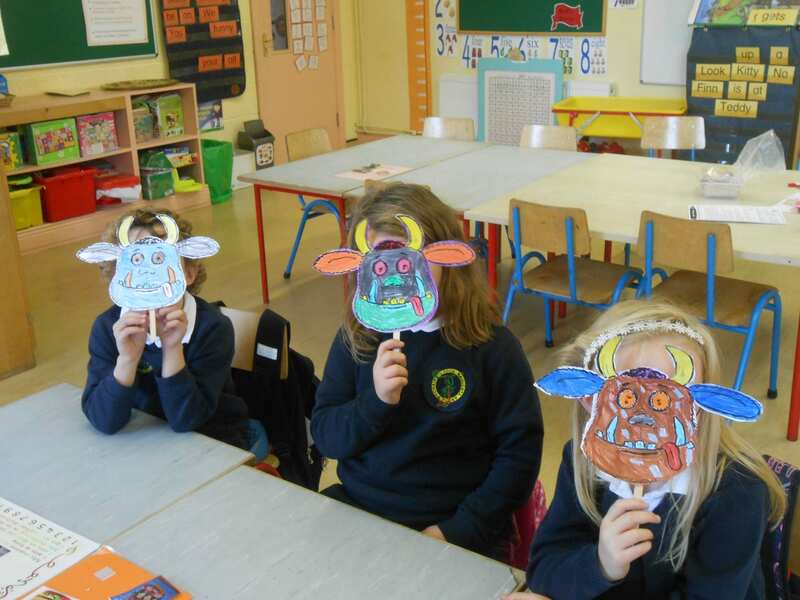 The World Book Day Book Tokens are valid until Sunday 31st of March. 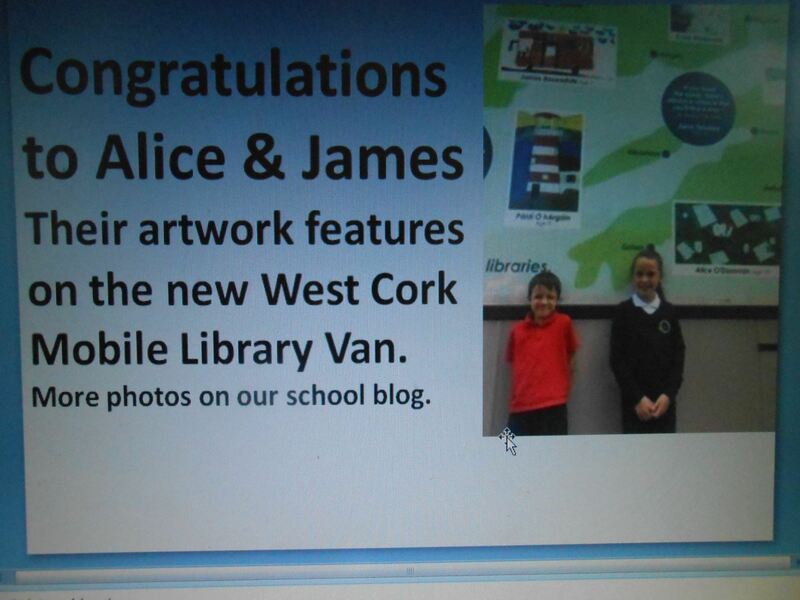 Congratulations to Daniel, Dara, Gráinne and James. Their Christmas stories were published in The Southern Star this weekend. 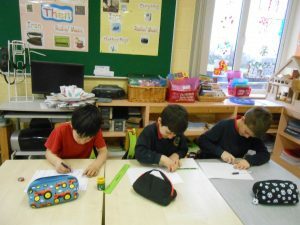 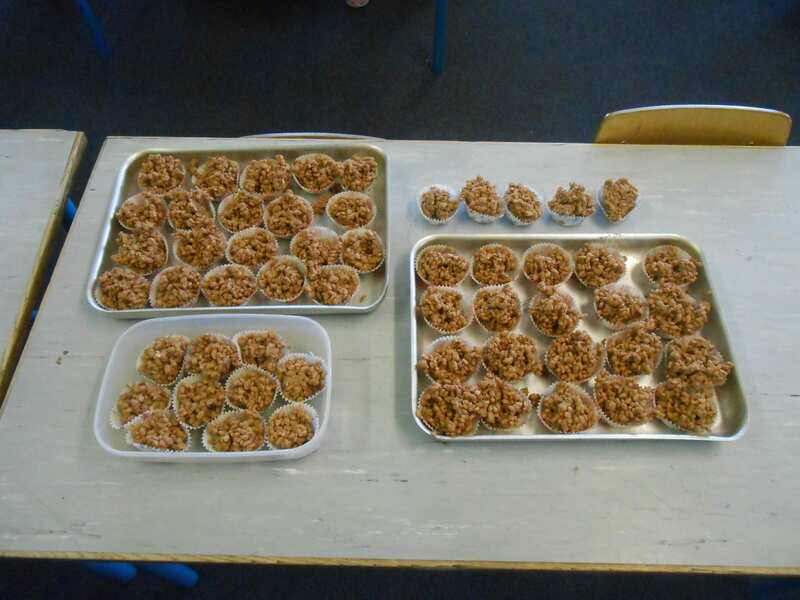 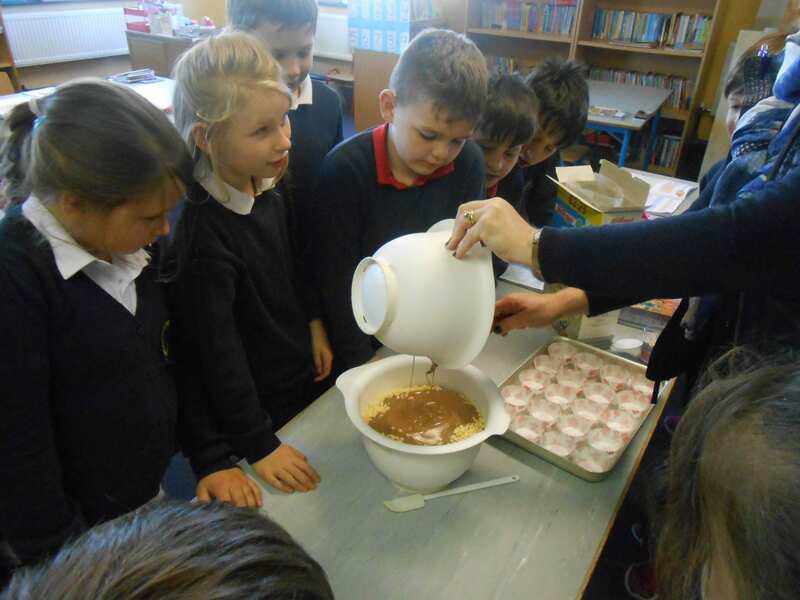 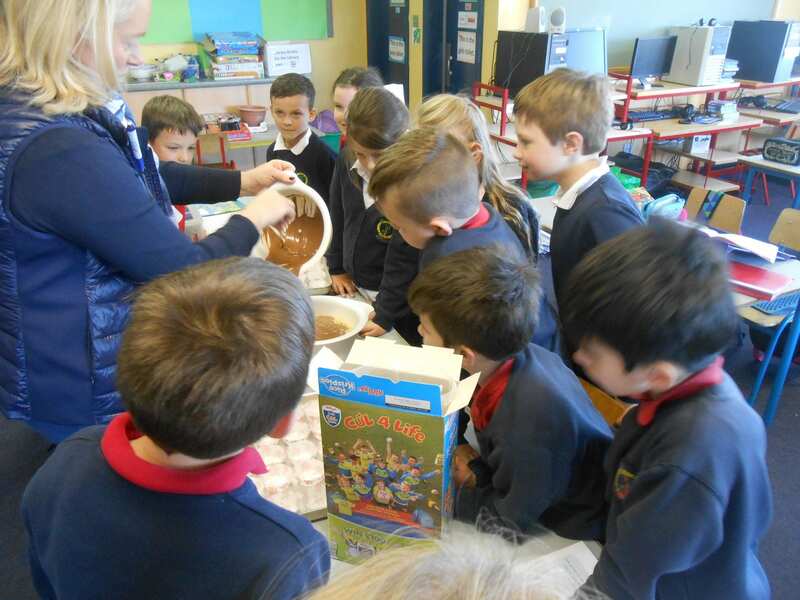 The children in Miss C. Daly’s room have been reading about the history of chocolate. As Togher N.S. 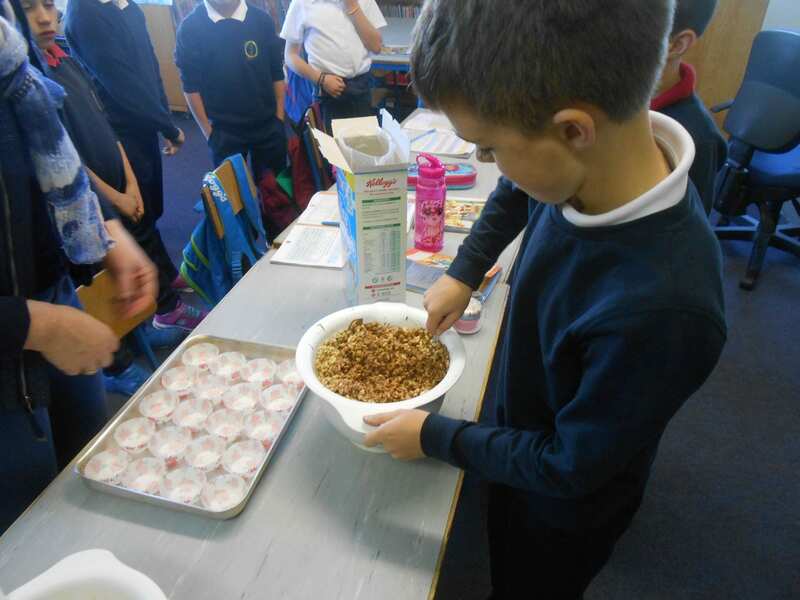 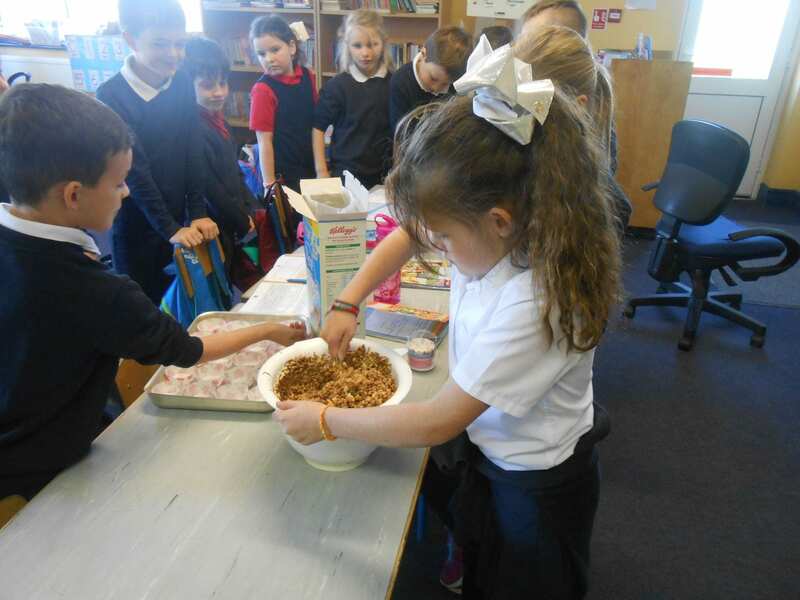 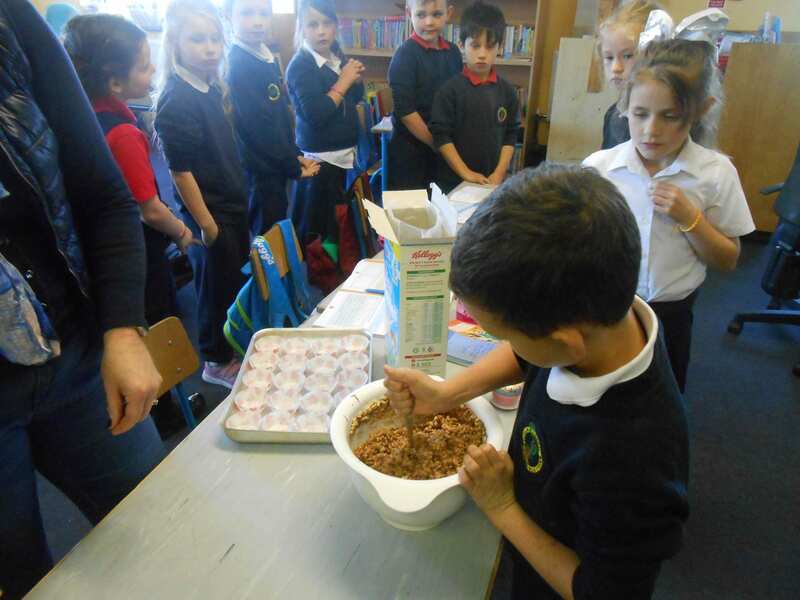 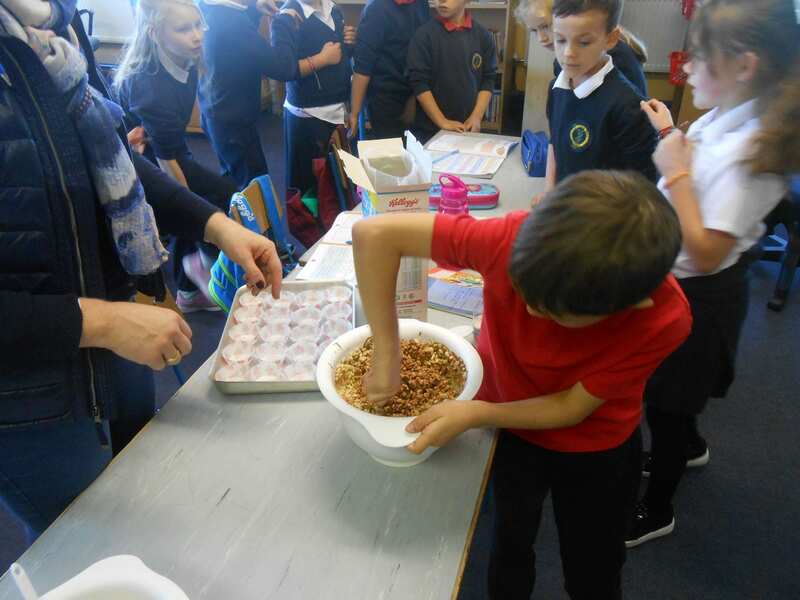 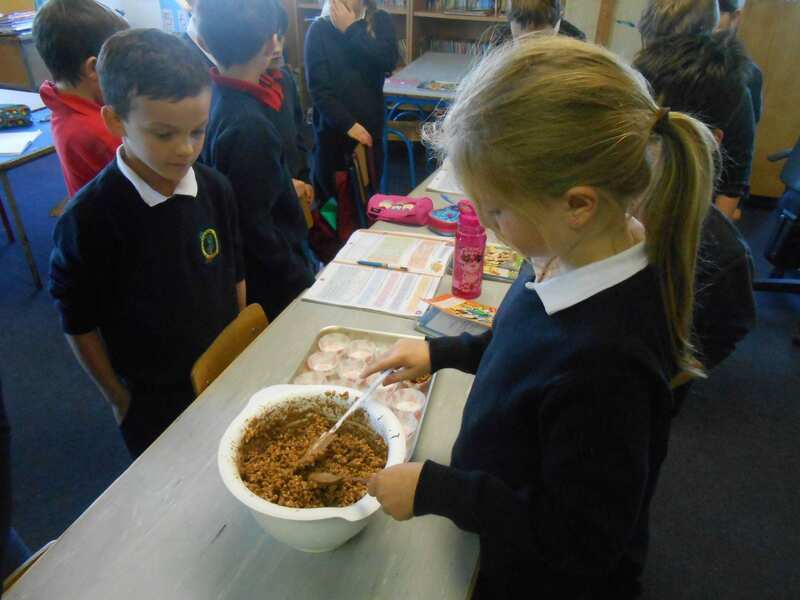 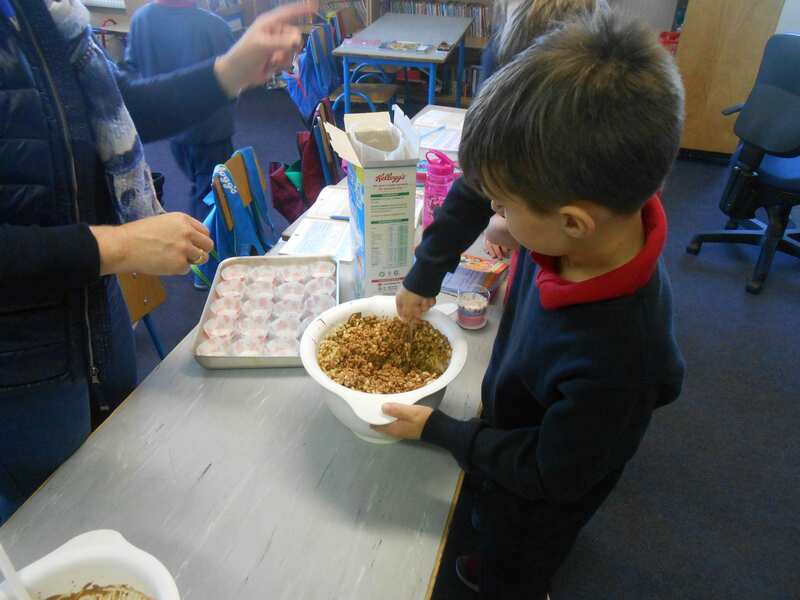 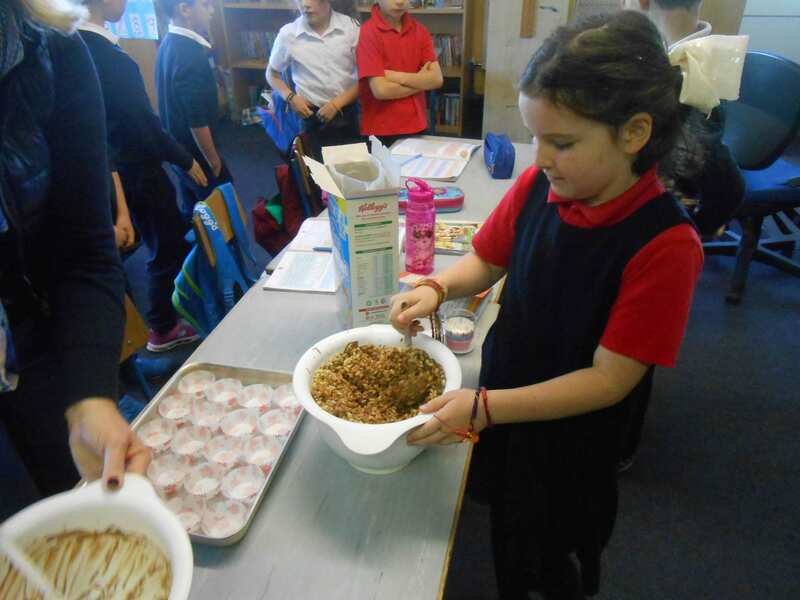 has a “hands on – minds on” philosophy the children had to explore all the qualities of chocolate – honestly! 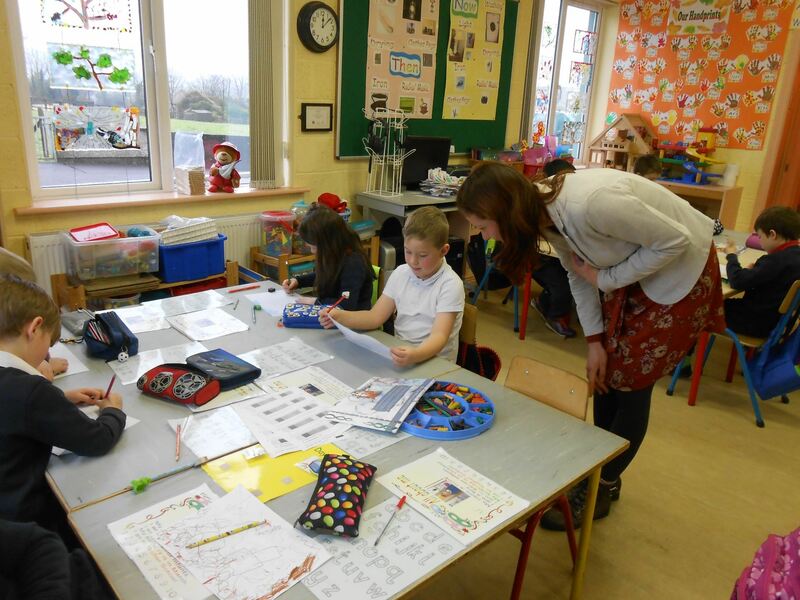 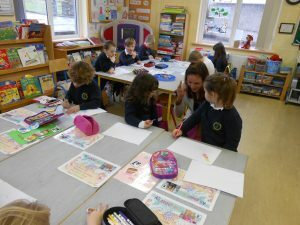 Today the children in the Junior Room were delighted to welcome Tara Julia Haubach to their classroom. Tara is an illustrator of children’s books. 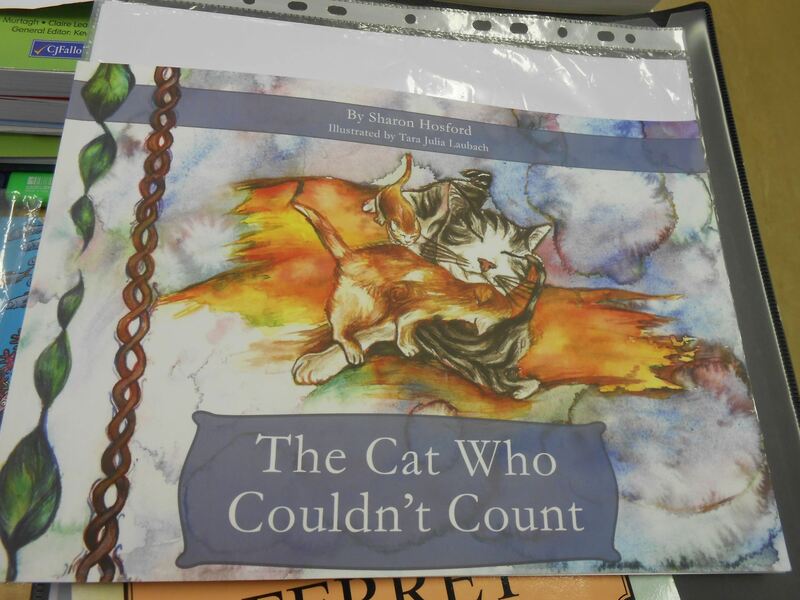 Tara showed the children the original drawings and paintings from her first book “Gerard the Ferret” and from her latest book “The Cat Who Couldn’t Count” written by local teacher Sharon Hosford. 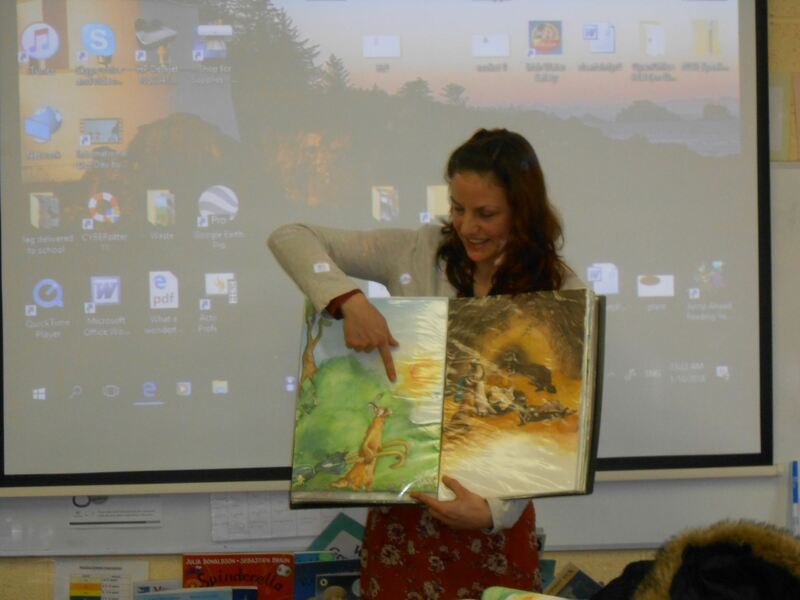 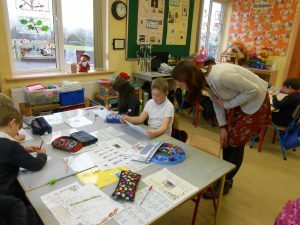 The children really enjoyed Tara’s beautiful artwork and were fascinated to hear how she comes up with ideas for her illustrations. Tara read from “The Cat Who Couldn’t Count” for the children who then had the opportunity to create an illustration for their favourite part of the story. Before she left Tara very kindly autographed a copy of “The Cat Who Couldn’t Count”for the school library. 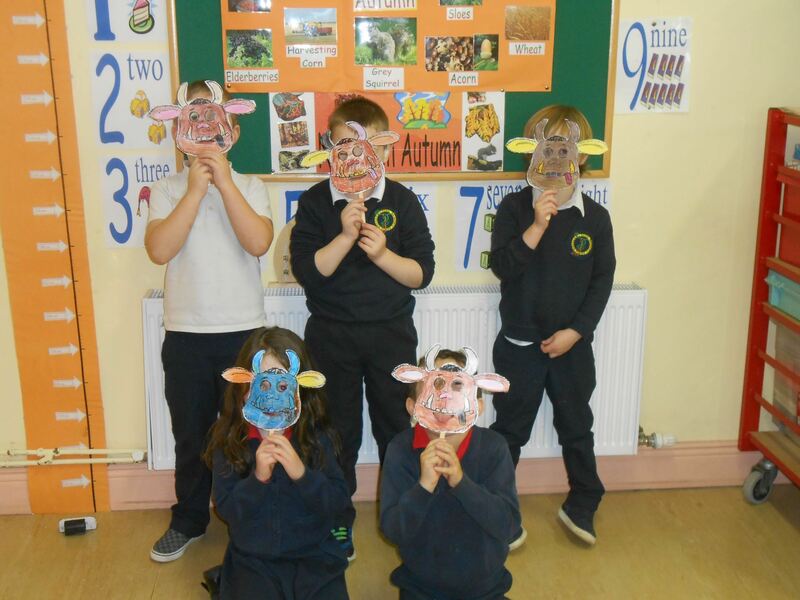 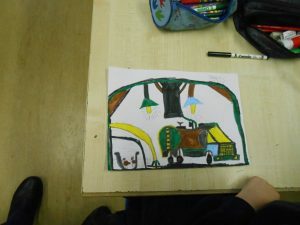 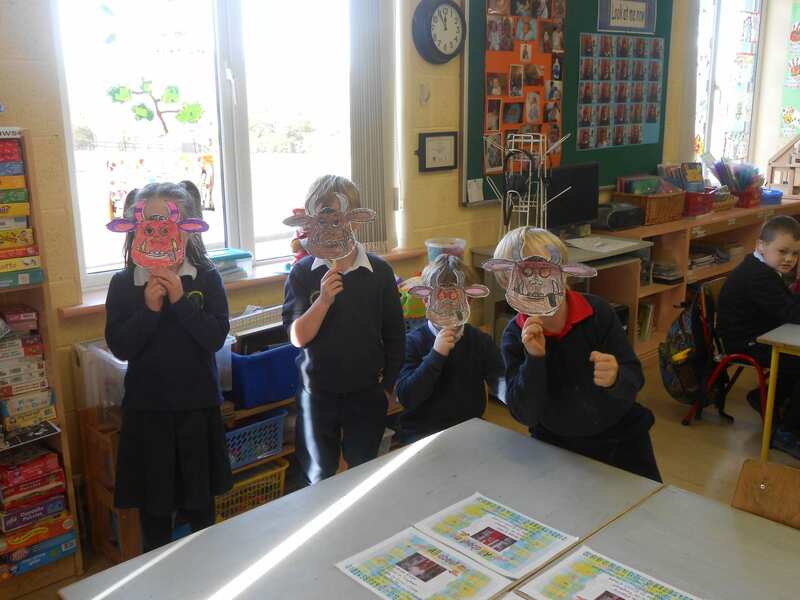 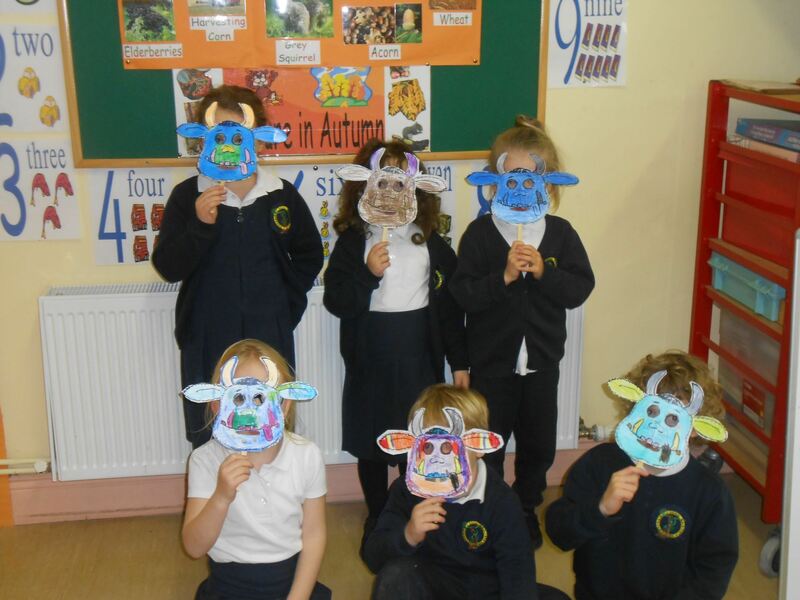 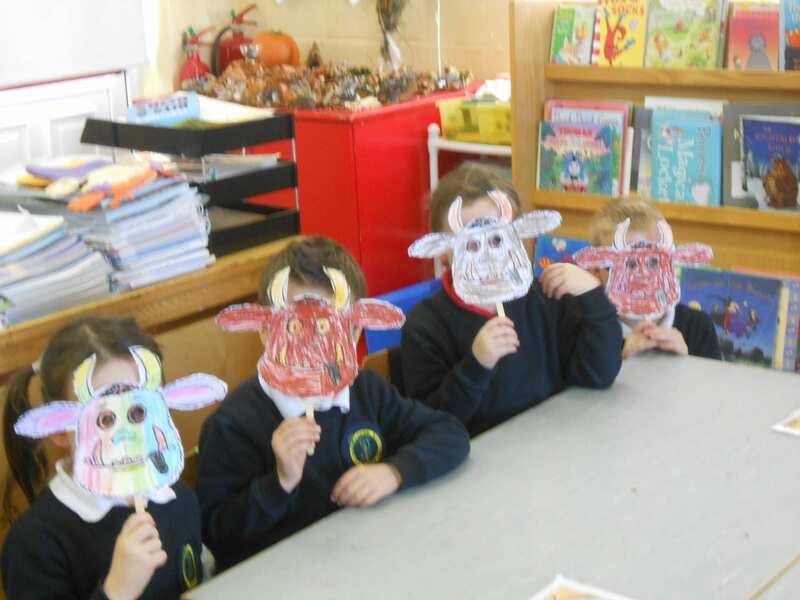 The children in the Junior Room enjoyed the story of the week – The Gruffalo. 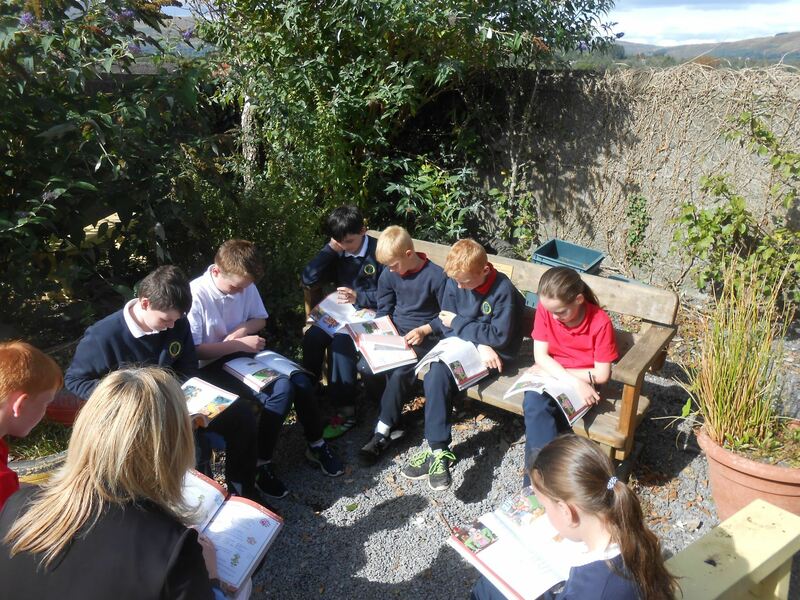 It was a lovely afternoon so we decided to enjoy the sunshine in our outdoor classroom. 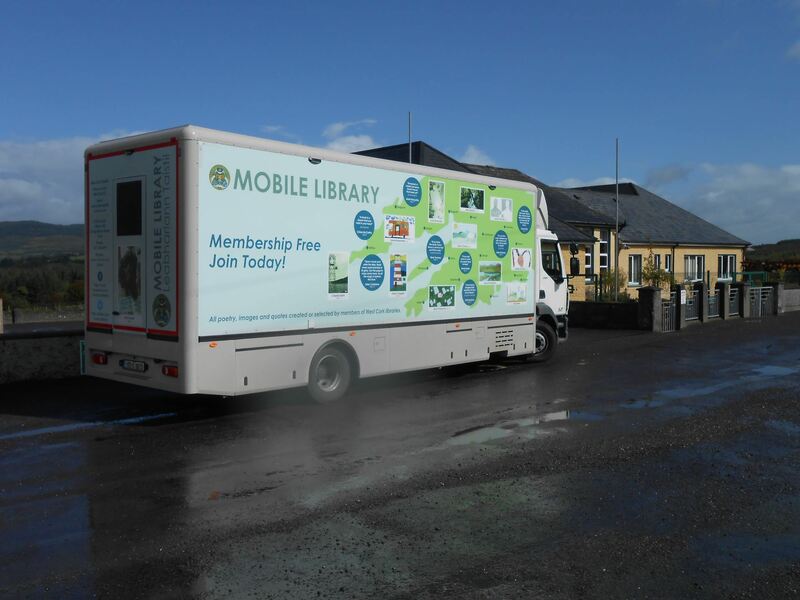 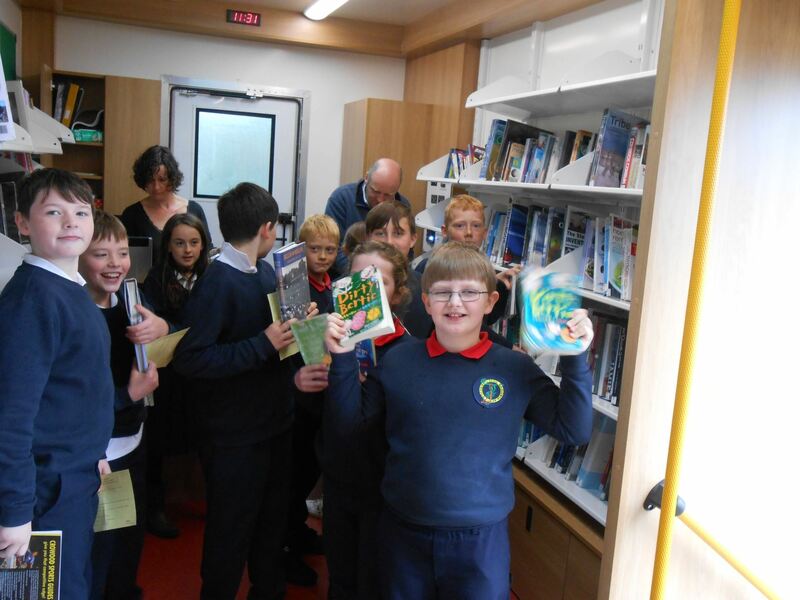 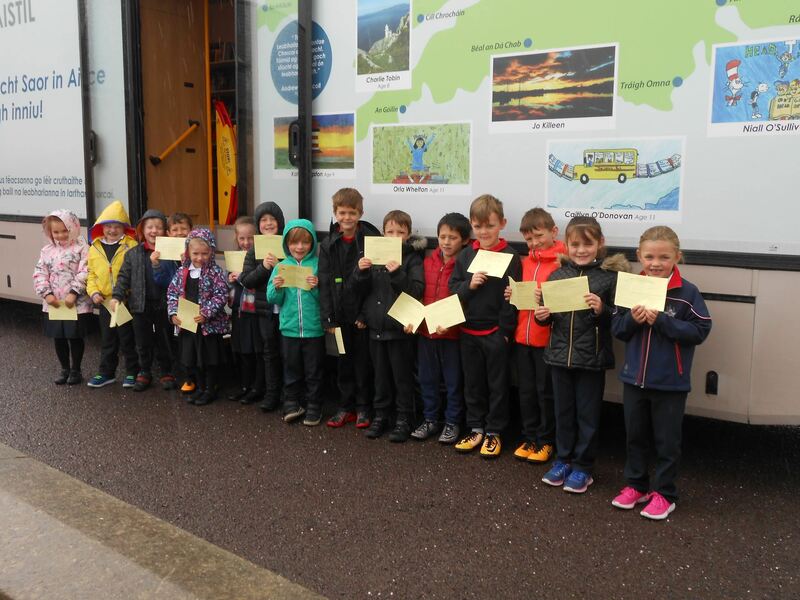 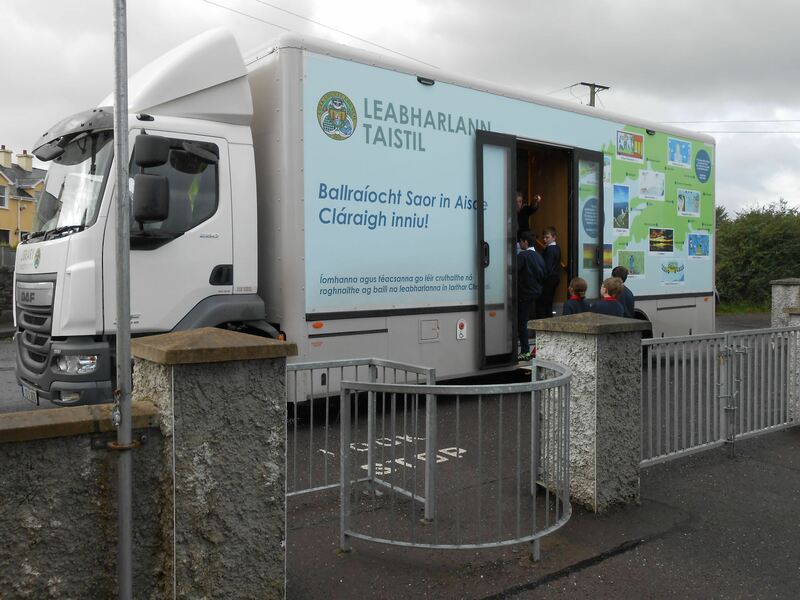 We were delighted to welcome the new West Cork Mobile Library Van to Togher N.S. 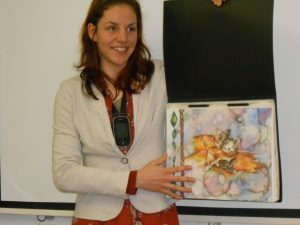 It features artwork by Alice and James.